Records disclose psychiatrist credited with revolutionizing mental treatment killed and injured patients with drugs. An investigation supported by the Fund for Investigative Journalism, Washington, D.C.
adeleine was rolled into the operating room on a gurney and prepared for surgery, her head shaven. A local anaesthetic was applied to a portion of her scalp. The surgeon cut away a flap of skin and drilled a hole through her skull. Wielding a spatula-type instrument, he made several sweeping incisions through her brain, slicing all the way to the back of her skull. While the surgeon worked, psychiatrist Ewen Cameron stood over the young woman, plying her with questions until he was assured the surgeon had achieved the desired result. When Madeleine stared vacuously and could only grunt in response, the surgery ended. Madeleine lived the rest of her life an automaton in the confines of an insane asylum. Madeleine Smith, a 28-year-old Canadian newscaster, was just one casualty of the ghoulish experiments conducted in the 1950s and early 1960s under Ewen Cameron at McGill Universitys Allan Memorial Institute in Montreal. The experiments were part of the infamous MK ULTRA program conducted under the aegis of the U.S. intelligence agencies in the 1950s and 1960s, exposed in media and in hearings before the U.S. Congress in the 1970s. Cameron brutalized and maimed patients with drugs, shocks and lobotomies as he sought a means to depattern and program the human mind. Canadian survivors still able to seek reparation eventually obtained a $750,000 shared settlement from the U.S. government in 1988. Virtually all accounts of this dark chapter of the 20th century have named Cameron, who died in 1967, as the main culprit responsible for the vicious treatment. But evidence has existed all along that the experiments were never isolated to Cameron, whether funded by intelligence agencies or not, and that the mindset that sanctioned them pervaded North American psychiatryeven decades after they occurred. Lehmann, instead, had his own theoriesand performed his own experiments, at times with fatal consequences. 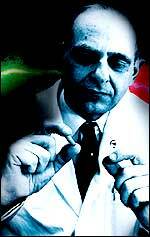 ailed as one of the leading lights of 20th century medicine, Lehmann was the first in North America to use so-called antipsychotic drugs on his patients and has been credited with transforming and shaping the course of modern psychiatrytaking treatment of mental illness beyond the destruction or removal of brain tissue, as with psychosurgery or electric and insulin shocks. While infamous drug and shock experiments conducted in Canada many under the authority of the U.S. MK ULTRA programhave generally been attributed to psychiatrist Ewen Cameron (pictured), he did not act alone. At least one close colleague, Heinz Lehmann, was involved in lethal tests but never held responsible. The drug said to have made this radical change possible was chlorpromazine, sold under the names Thorazine in the United States and Largactil in Canada. The German-born Lehmann, who moved to Montreal in 1937, began using the drug on psychiatric patients in 1953. By 1955, due to Lehmanns work, chlorpromazine was being used in every major psychiatric institution in the United States and Canada. Lehmann went on to receive virtually every significant U.S. and Canadian medical and psychiatric award. They included, in 1957, the Albert Lasker Award from the American Public Health Association, considered second only to the Nobel Prize in prestige, and the Annual Award of Merit from the Canadian Mental Health Association. In 1976, he received the Order of Canadathe countrys highest civilian honor; in 1998 he was inducted into the Canadian Medical Hall of Fame. Yet, while Lehmann was lauded in psychiatric circles for reputed dedication to his patients, investigation reveals that some of those patients suffered horrific deaths during his experiments. Evidence shows that Lehmann routinely ignored patients rights, medical ethics and drug side effects. This doctor also did not hold a valid medical license in Quebec for the 26 years during which most of his work was done. ocuments obtained by the Citizens Commission on Human Rights Canada disclose that Lehmann conducted hundreds of human experiments from the late 1930s to the early 1970s. Between 1955 and 1973 alone he conducted 330the equivalent of a new experiment every three weeks. Before his work with chlorpromazine, he was involved in lobotomizing, shocking and otherwise invading subjects with various poisons and drugs. The latter admission apparently lacked remorse; according to his records, Lehmann neither scaled back his treatment nor sought less harmful methods. The psychiatrist casually recounted carrying pure nitrous oxide by inhalation to the point where there was complete loss of consciousness, injecting sulphur oil which was painful and caused a fever and injecting turpentine into the abdominal muscles of a patient to create an abscess to see whether a strong fever produced by an infection might drive out a pre-existing illness. 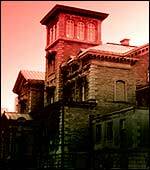 When his experiments had fatal results, there were no consequences for Lehmann, who operated with impunity upon the faceless, nameless inmates of Quebecs mental institutions between the 1940s and 1960s. he official record states that Lehmann introduced chlorpromazine in Montreal in May 1953 while working at Verdun Protestant Hospital (later renamed Douglas Hospital). Lehmann knew the extreme and sometimes deadly effects of the drug, even describing it himself as a pharmacological substitute for lobotomy. Despite extensive evidence accumulated in the 1950s and early 1960s of its dangers, he did not slacken his pace. In 1965, for example, he conducted a study entitled Skin Pigmentation, a Rare Side Effect of Chlorpromazine after patients at Verdun developed slate-blue pigmentation of the face and forearms from chlorpromazine. He experimented with 15 patients, concluding that a greyish-brownish-bluish skin discoloration is found in patients who have received the drug in high dosages for a considerable length of time. In a 1967 study, Lehmann and colleagues experimented on 38 patients, administering doses ranging from 200 to a staggering 3,200 milligrams.